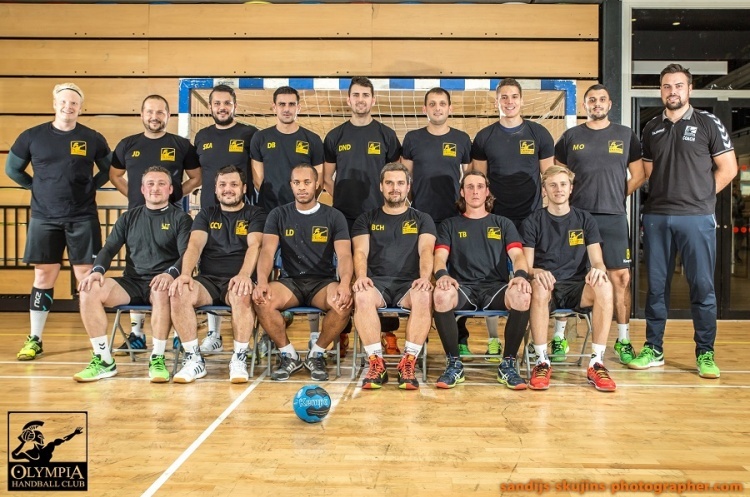 Olympia will face London GD in a title decider in the Mens’ Premier Handball League next Sunday after beating Nottingham at Leyton Score Centre. The weekend’s other match saw Cambridge edge past NEM Hawks. Olympia won 39-21 against Nottingham at Leyton Score Centre, pulling away in the second period after the scores were tied at the break. Cornel Grigorie top scored for the London side with eight goals, while Nottingham’s Francisco Pereira beat the keeper seven times. Sven Furstenberg was named as Olympia’s man-of-the-match, while Robert Broers was Nottingham’s player-of-the-match. The result sees Olympia lie two points behind leaders London GD and know a victory in next week’s match by two goals or more would see them crowned champions. Cambridge beat Hawks 28-27. They held a comfortable 16-10 lead at half time, but were pushed hard after the break by the North-West side. Jose Ballester Beltran found the back of the net six times for Cambridge, while Alejandro Garcia Costa and Nicolas Martin scored five apiece. Pierre Larraufie was Cambridge’s man-of-the-match. Harry Morley beat the keeper seven times for Hawks, while Jamal Braithwaite scored six and Hawks’ man-of-the-match Carl Barnes grabbed five.